Home > News > Indonesia's RCTI asks Who's on Top? Indonesia’s RCTI asks Who’s on Top? RCTI Indonesia is to air a local version of Keshet International (KI)’s original variety gameshow format Who’s on Top? The Indonesian version will be produced in-house and the free-to-air network will broadcast the series in a two-hour weekly primetime slot. Who’s on Top? was originally co-developed and produced by Israel’s Keshet Broadcasting, Flare Media International and July August Productions. 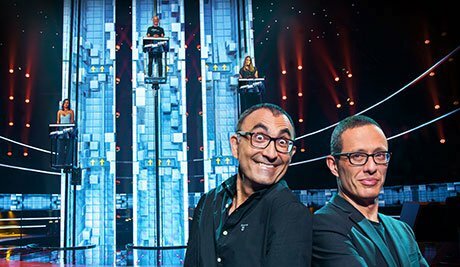 The show, created by Erez Tal, sees contestants suspended in pods that move up and down depending on whether they get their question right or not. The deal follows the Indonesian version of KI’s interactive talent show Rising Star, which will begin its second season this year. Rising Star, Who’s On Top?